Hmm excellent points. While I enjoyed the last chapter (and the game as a whole) immensely, I agree with a lot of these criticisms. - The monologues in the dark room just didn't work very well. I think the limitations of the animation could have been overcome with better dialogue and/or delivery from Jefferson's voice actor. He just didn't seem quite menacing enough. Or his menace wasn't particularly believable. This was the weakest part of the episode for me. - I'm not sure what was up with the bottles. I didn't find them all and just sat on the bench, which pushed the game into the next scene. I did like that sneaking sequence overall, mostly for the dialogue being shouted out the flashlight-wielding characters. 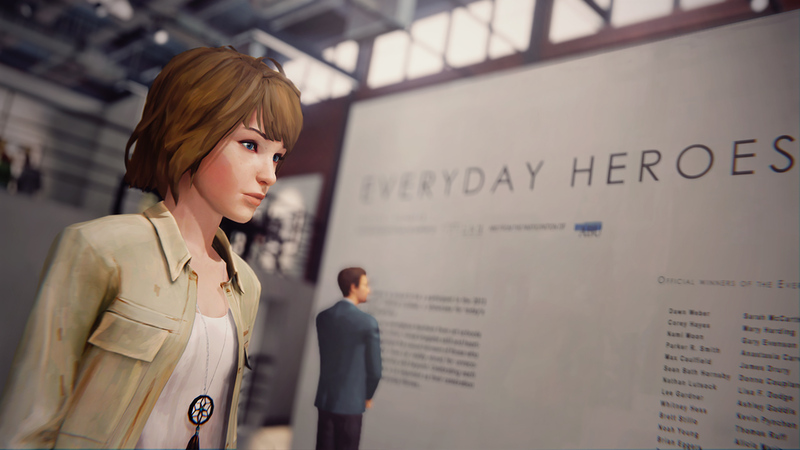 - After a certain point, I just accepted the forking timelines and the mysterious nature of Max's ability as things that would not be adequately explained (Chloe explicitly says this at some point). I'm not sure how the "Sacrifice Arcadia Bay" ending plays out, but I felt going into the butterfly photograph to solve everything was an amazing moment, and made sense in the game's internal logic. I think you can consider that a privileged moment in the timeline, as it was the first time Max used her powers. It does require some serious suspension of disbelief, but I was fine doing so. 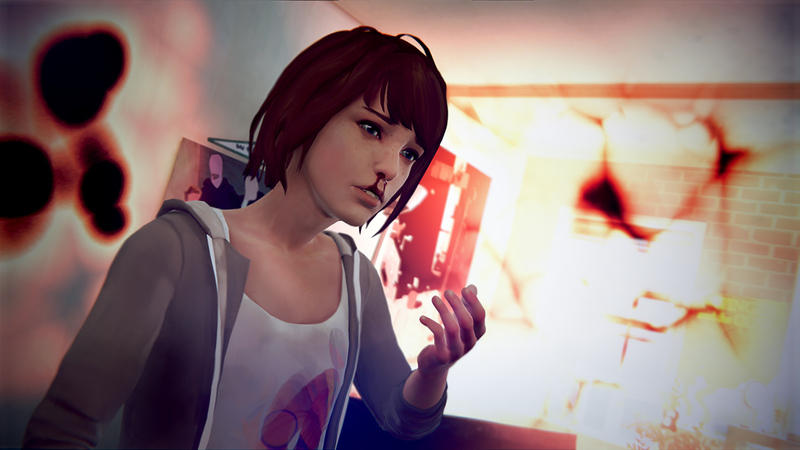 While it isn't perfect, for me, Life is Strange is one of the best I've ever played. There's something about the game that just clicked. From the first moments it grabbed hard me and never let go. I was... hell, I still am quite invested and emotional about it. Though in my case there were, in the more mundane aspects, a few notable parallels to things I've lived through. For instance, Episode 2 Spoiler, I lost a friend in 2013, their birthday just went by so they had been on my mind. I replayed the game (and finished the parts I hadn't yet), one episode a day, ending on yesterday. All together, playing each day each day, was intense. Regarding the ending(s), I didn't feel cheated in the least bit. As I understand it (I only played my choice and have no intentions of changing that), either option effectively undoes a major amount, if not all, of what you have worked for the entire game. Each is a sacrifice made more difficult because neither Max nor the player is the one actually paying the price, but we're empowered to adjudicate it. Though I can see the argument that the player must sacrifice their agency, which it sounds like you weren't a fan of. Though our time with Max, and what we initially thought of as a gift we imparted to her ends as she either rejects us entirely, or she learns to leave us behind in the wake of destruction we wrought. For me, the whole damned thing was for Chloe, every act, every choice. The whole game was about saving her, that's what started it all, and since then we circled around saving one another. By the end I'd watched Max say goodbye to her best friend enough. It was time to face the consequences and hope for the best. Max and I killed so many people to keep those promises. I felt sick as Max tore the picture apart, but I never wavered in our choice. Our final lesson (Max's and mine) was to stop trying to fix things and live with the consequences. I guess some people just prefer denial. I don't know, maybe I'm weird but, it spoke to me.